Not a moment is missed with a camera that keeps up with you! Always on the go, you know moments worth sharing can happen all the time. 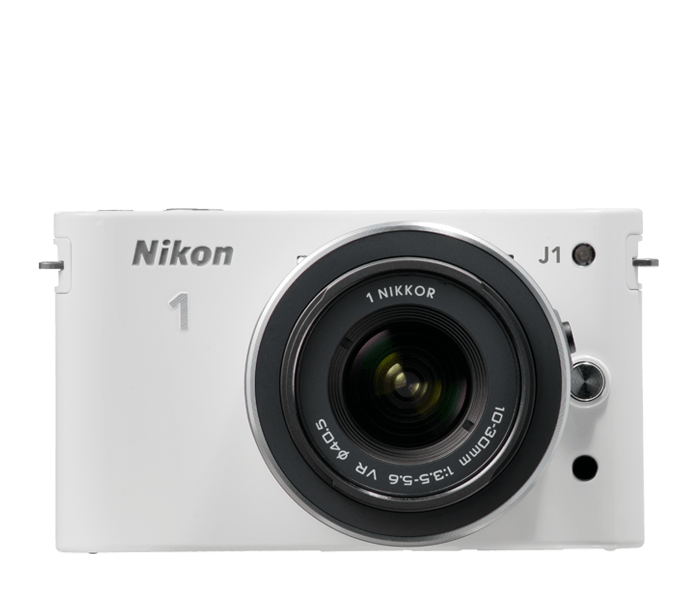 Don't let your creativity be hindered by slow focus speed; Nikon 1 J1 delivers an amazing 10 fps speed in autofocus mode. Grab every turn of the swimmer as he leaps from the high dive and glides into the water below. Even fast moving action like this is rendered with amazing clarity—thanks to an incredible 73 point AF array continuously working to ensure everything is sharp and clear. Expand creativity and select from a range of lens options, including one designed specifically for movie filming. 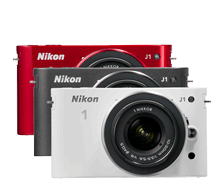 Engineered for fast and easy swap-out, stay photo-ready all the time. Compactness brings portability, whether using the single focal length 10mm or the 30-110mm telephoto. 1 NIKKOR lenses feature Vibration Reduction (VR) to keep photos sharp, extending a heritage of precision symbolized by durability, superior image quality and optical excellence.